While the characteristic of water-resistance can often be an overlooked factor when it comes to buying a fitness tracker, it is something important to look for. A few years ago you would struggle to find a wearable you could take to the pool with you. These days we are spoiled for choice. Fully waterproof wearables do not exist and regulation prohibits watches and fitness wearables from being marketed as such. This is because, there is always a certain level of water pressure at which a wearable will begin to leak. Activity trackers can therefore only be marked as water-resistant to a particular depth. You should always check the markings on your device or the manufacturers website before taking your wearable under water. Whether you are looking for something to track your swimming or just want a fitness tracker that will survive a rainy day, getting a water resistant device is a solid investment. Read on for our pick of some the best devices you can buy today. This is Fitbit’s slimmest tracker yet and the first Fibit device that is water resistant. Flex 2 sports a removable core unit and interchangeable slim, classic fitness bands in seven colors. A simple LED display uses color-coded lights to show progress toward your daily goal, and keeps you connected with call and text notifications. There is a full range of options if you wish to customise the tracker. You can choose from a range of luxe, premium mirror-finish bangles in silver stainless steel, and 22k-plated gold or rose gold stainless steel, or elegant lariat-style necklaces in silver stainless steel or 22k-plated gold stainless steel. More importantly, the device is water resistant down to depths of 50 meters. Whether you’re in the shower, pool or ocean, it automatically tracks your swims including laps in the pool, duration and calories burned. For those on a budget, Flex 2 covers the basics when it comes to swim tracking. The screen real estate is larger than previously allowing for additional complications and more info on the screen. Other hardware improvements include a revamped digital crown, 50% louder speakers, and a back that is made of black ceramic and sapphire crystal for better cellular reception. The watch carries over the 50 meter water resistance of the predecessor device. Yes, you can wear Apple Watch Series 3 or 4 in the shower and read those all-important emails while taking a bath. The timepiece also comes with its own Pool Swim workout mode as well as open water swim. At the end of a session, the watch displays the time of day the activity took place, dominant stroke used (auto-detection is used), distance, workout time, pool length, laps completed, average pace, average heart rate, and both active and total calories burned, as well as the weather at your location. This fitness tracker aims to teach you the concepts of a healthy life. Its truly novel feature is real-time coaching feedback in a wide variety of exercise programs. The device tracks your movements, analyzes them and gives you a comprehensive report on how you are doing, after, as well as during the workout. The device automatically detects your stroke type and provides you with detailed info which you can use to learn to lower your stroke rate, increase distance per stroke, review your rests (and when they help or hurt your endurance), and see how your performance changes with each swim. The original model was meant to be worn only during workouts so was not intended to be used as a standard activity tracker – in contrast, the Moov Now is designed for all-day use. The tracker will measure your activity level and active time, in addition to automatically monitoring your sleep at night. Wearables company Misfit has partnered with Speedo to create an activity tracker designed exclusively for swimmers. The device uses similar hardware to other versions of the Shine, but adds new algorithms to its firmware. Speedo Shine 2 is worn on the wrist and capable of tracking both swim distance and lap count, regardless of swim stroke. It syncs with the Misfit app for iOS and Android and displays laps and swim distance, along with calories burned and points earned. A couple of Misfit’s most popular trackers, the Shine 2 and Ray, have also been upgraded to track laps and swim distance. The added functionality, which requires a one-off $10 purchase, is available via in-app upgrades for both iOS and Android. This is essentially a firmware refresh which uploads and enables the algorithm Misfit already uses in its Speedo Shine range of activity trackers. Vivoactive 3 is the successor to the Vivoactive HR, a Swiss knife of activity trackers. Garmin has realised that it needs to introduce a less bulky form factor if it is to appeal to a larger demographic. And on that count, the Vivoactive 3 does not dissapoint. In the water the Vivoactive 3 does a fairly decent job of monitoring your swim sessions with lengths, distance, pace, stroke count/rate, calories and swim efficiency (SWOLF). It also detects the type of stroke you are using, and can distinguish between freestyle, backstroke, breaststroke and butterfly. Rather conveniently, you don’t need to push buttons any more to start monitoring workouts as the device continuously scans for periods of sustained activity. This is essentially auto-recognition for running, swimming, cycling and elliptical. PoolMates are designed in the UK by a triathlete family who became tired of losing track of laps and thought that there had to be a better way of tracking your swim sessions. 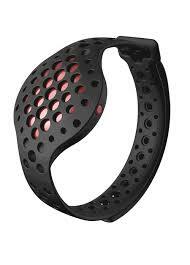 The device is essentially a plastic wristband that contains MEMS accelerometers to capture the motion of your arms. The wearable times your swim and calculates lap count, average strokes, speed, calories and efficiency levels. The efficiency index is based on the Swim Golf method. It is the number of strokes taken over 25 metres plus the time taken to swim 25 metres. So to increase your efficiency and improve your swimming you need to concentrate on reducing this number. Pool Mate 2 works with all major strokes and is fully automatic. It will sense when you start a new lap without you having to do a thing, apart from pressing the start button, and swimming. As long as you have a regular stroke and take more than 7 strokes per lap (on the arm the watch is worn on) you should have accurate results of both individual sets and total session data. Garmin’s flagship swimming wearable is ready to go right out of the box. Just tell it the size of the pool you’re swimming in and begin your workout. The device automatically recognises the type of stroke you are using and tracks your lengths, strokes, distance and pace. You can also log drills or start timed intervals without constantly monitoring the pool clock. Similar to Pool Mate 2, at the end of the swim the wearable will give you a score that shows how efficient you are with your strokes and an overall time per 100m. Most of this data can be viewed on the watch when you hit pause. For more detailed data and to view your progress over time, sync your watch to Garmin Connect. You can also share your workout data with your coaches, workout buddies, or friends and family. The Swimsense Live is the latest device in Finis ranger. The tracker has been upgraded with more accurate propriatery tracking systems, new swim-specific data, and Bluetooth for real-time results. The watch captures stroke count, total distance, pace, calories burned, distance per stroke, SWOLF (efficiency score), and more. It also features an OLED screen so you can view your workout data in real time. The app has also received a revamp. You can now track workout times, laps, calories burned, stroke specific analytics, and more. A new web platform has also been thrown into the mix for added convenience. The tracker has an IPX8 water resistance rating, built to withstand continuous water immersion. Due to the added functionality battery life is 7 hours, down from 12 hours on the original device. The Forerunner 935 is a high-end multi-sports watch. It can track many activities such as running, swimming, cycling, hiking, trail running, skiing, paddle sports, golf and more. For swimming, it keeps tabs on number of lanes, distance, pace and stroke rate, calories burned and the swimming efficiency indicator (SWOLF score). Where the watch stands out most, though, is in its detailed analysis of performance. The Forerunner 935 aggregates past training results and then uses that data to evaluate the amount of effort users exert during fitness sessions, i.e. if you are slacking off or overdoing it. It does this through two new additional metrics, training load and training status. Training load looks at users’ exercise activity over the last seven days and compares it to the optimal range for your fitness and recent training history. Training status does the same thing with a more short-term view. If you’re not short on cash, you can also opt for its big brother. The Fenix 5 series has everything the Forerunner 935 offers, but in a more premium design. The third water-resistant device from Fitbit, Versa packs some pretty decent specs under the hood. You essentially get everything from Ionic, minus the built-in GPS. But all this comes in a much more modern design. This is a smartwatch that puts fitness first. It provides pretty much the full gamut of Fitbit’s offering, along with capturing real-time stats on 20 different types of activities. There is on-board storage for music too, smartphone notifications and Fitbit pay. For swimming, you’ll get lap count information, duration of your session and calorie burn. Its accurate, the display stays up and you can see the lengths as you go. The heart rate monitor is disabled due to water effecting the accuracy of the readings. Light travels differently through water than air, hence the difficulty for optical heart rate monitors to track your ticker under water. ← Why is my Fitbit not tracking heart rate? I use COUNTU Goal as my swimming tracker. It is a manual tracker, push the button for each lap without any interference. And the most useful function is vibrate alarm function, that it will vibrate your finger to alarm that you already achieve your workout. Recommended.